Want to be happy? SMILE! What unites poets, philosophers, psychologists, neurologists and economists? They all are interested in what makes us happy. Sure, they have their distinct perspectives: one is interested in people's feelings, the other wants to know what people value and the latter is interested in how people's brains respond to rewards. Even governments try to measure and increase the happiness of their citizens. Measuring happiness is easier than you might think. First, we can ask people how they feel and have them rate that feeling on a scale. That's what we do with our explore app day by day. Second, we can use MRI to measure blood flow in the brain, or EMG to evaluate and record the electrical activity produced by our skeletal "smile" muscles in the face. Very often, the results of the easy survey and those of the biomechanic treatments are highly correlated - that's why we're pretty content with our explore interaction results. Then, there is this difference between synthetic happiness and real, or natural, happiness. We produce synthetic happiness when we don't get what we want. The reason: things have less impact on happiness than we expect them to have. It seems that most experiences - bad and good ones - affect us for no longer than three months. Still, even synthetic happiness deserves to be regarded of equal value as the real happiness: people producing synthetic happiness don't necessarily delude themselves but they find things that are even better than those they had before. Just think of those of us having chosen not to stick to their careers (they wouldn't have become CEO, anyway), but to spend more time with their families. If you had to summarize all the scientific literature on the causes for happiness in one word, it would be 'social'. To tell something about a person's happiness, we should know about her social graph, her family, her friends, and the strength of the network's connections: the more people feel welcomed, accepted and loved, the happier they are. What do we see? Passengers in a Belgian metro are infected by the laughter of a single man. Watching this short film, one thing seems to be pretty evident: laughter is contagious. Not only - everyone will be laughing after a few minutes, but each individual seems to feel relieved. Each person seems to laugh about his or her own rather gloomy attitude before this funny guy started laughing. And don't we know that feeling? Using public transport, on our daily way to work - the looks of many of us range from earnest to gloomy. 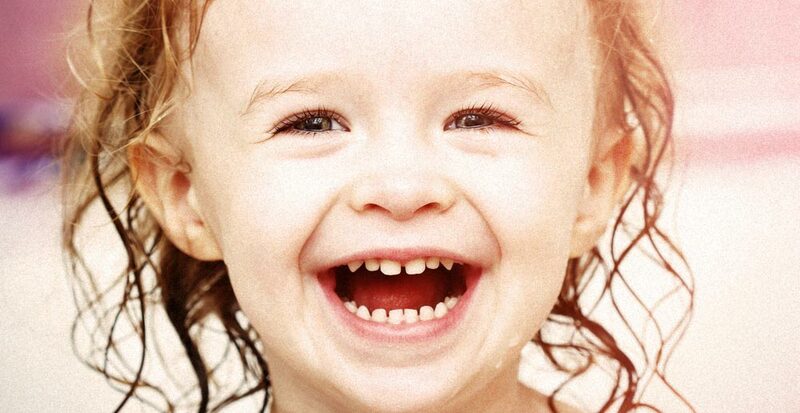 So - what about a smile, what about the effect of laughter on happiness? Does smiling at people make them happier? Does smiling make yourself happier? Ron Gutman, Founder and CEO of HealthTap, certainly thinks so - you can persuade yourself watching the video below - whereas others like John M. Grohol, Founder and CEO of PsychCentral, are more skeptical - especially regarding the mixing up of correlations and causations. There is one very interesting finding in the work of Ed Diener who shows that the frequency of our positive experiences is a much better predictor than the intensity of our positive experiences. In other words: the more often you can produce positive experiences the happier you will feel. And since most of our daily social contacts take place in our extended social network, using rather weak links, such as "I have seen this person" or "she asked me for directions", it might make a lot of sense if we focus on exactly these 'weak' experiences of communication and try to transform them into positive experiences. Keep in mind: the more often you have positive experiences, the happier you become. As regarding happiness, a lot of scientific work has been done exploring the effects of a smile and I'll show some of the results in one of my next posts. In a nice co-incidence, it now seems scientifically proven that a sense of humor can improve our health! But for the moment I'd like to invite you to our experiment SMILE! - a 5-day-program based on the explore App helping you to start and keep smiling (at others) - and therefore creating several additional positive experiences a day. We invite you to participate and to check whether you will have become happier after 5 days. If you want to participate, just answer "Yes" in the interaction "Happiness" which will be published on June, 4, in explore. The first 25 volunteers are in!